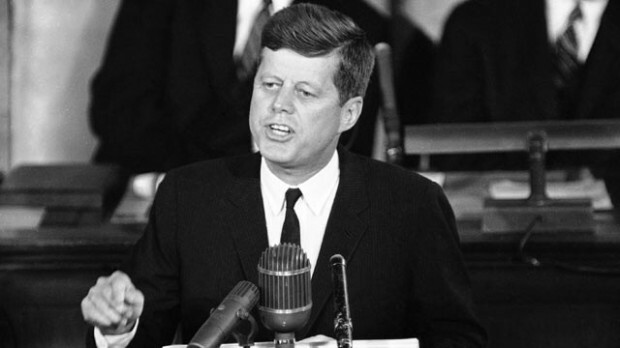 Even though JFK said those words 55 years ago, they still ring true in today, with just a slight shift. Let’s compare. Uncharted areas of science and space: In the 1960s, we were talking about landing a man on the moon, in 2015 it’s isolating 6 people in Hawaii to prepare for a one-way expedition to Mars. Unsolved problem of peace and war, in the 1960s it was about the continuation of the Cold War and the turmoils of Vietnam. In 2015 we talk of the Middle East. Unconquered problems of ignorance and prejudice, JFK was talking about the cusp of solving racism, whilst we are now activists of Gay Rights and the LGBTI community. Unanswered questions of poverty and surplus: Now let’s muse over this one for a bit. JFK was referring specifically to the invisible yet resounding deprivation and poverty in an affluent society that was 1960s America. The issue is still prominent, though the conversation has been elevated to an international stage, the disparity between rich and poor exists both locally and globally. A recent study by Organisation for Economic Cooperation and Development (OECD) says the richest 10% of the population earn 9.6 times the income of the poorest 10% and the gap is widening. This is direct result of a capitalist, pure-profit driven economy. Capitalism is now under siege. There is a new movement and, just like history has always informed us, the radical ideas of one generation will seem like common sense to the next. It brings together the pillars of business, Not for Profit and governments in a harmonious, impactful way. 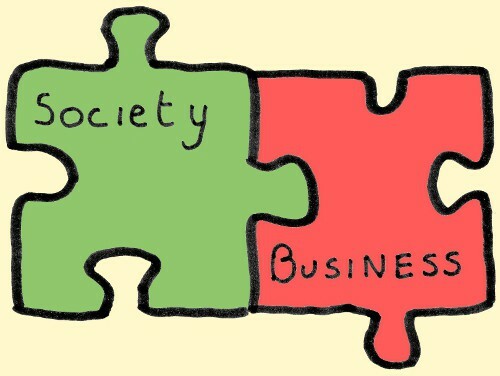 It’s inclusive of the spectrum of social enterprise and social business. A new way where as business is motivated by purpose, not solely profit. It really isn’t an “either/or” idea, but a smart “both/and” approach to business success. It’s not a trade off and it doesn’t jeopardise either profit or purpose. I know what you’re thinking, it sounds like a unrealistic utopia from someone who’s been high since the 60s. But it’s already happening and there are strong reasons why. Profit and Purpose, everyone is doing it. What is a B Corporation? It stands for Benefit Corporation and determines whether you are a profit/purpose business. It’s the stamp of approval that’s leading this new movement. To become a B Corp you must go through a rigorous audit that assesses everything from sustainable suppliers to employee wellbeing. You need to have social mission and you need to be a for-profit. This audit is repeated every 2 years to keep you up to scratch. It is already becoming a serious agent of change – driving capital, enabling social impact and even passing laws. As a proud B Corp ourselves, we’re happy to join a powerful international community that includes the likes of Ben and Jerry’s, Esty and Patagonia. This is a serious movement with a serious force behind it. Anyone who studied Michael Porter in B School will be familiar with this concept, which has made recent traction in the Australian market. Shared Value can come in the form of partnering with a non-profit to reimaging an entire supply chain. Nestle is good example. Nestlé redesigned its coffee procurement processes by working with small farmers in impoverished areas who were trapped in a cycle of low productivity, poor quality, and environmental degradation. Nestlé provided advice on farming practices; helped growers secure plant stock, fertilizers, and pesticides; and began directly paying them a premium for better beans. Higher yields and quality increased the growers’ incomes, the environmental impact of farms shrank, and Nestlé’s reliable supply of good coffee grew significantly. Shared value was created. It is a win-win situation that results in business and social results. Uncle Toby’s also looked at the oat production in rural Australia and created shared value there. This is more than the ‘tick the box’ CSR approach. It is all about ensuring the business meets the triple bottom line: people, planet, profit. The thinking is all immutable and interconnected. Leadership and improvement in terms of one P will bring about leadership and improvement with the others. Aligning business practices with these new principles. It can mean an overhaul of operations or it can mean adding more value into the workplace. Google is a neat example, covering all 3 by contributing funds to and working on projects within climate change (planet), public health (people) and contributing the Global Economic development (Profit). Spark became a certified B Corp earlier this year and we are apart of an ever-widening community. We approach it from both sides when working with clients, a look into how NFPs can be more profitable and how for-Profits can be more purpose driven. In part 2 of this blog, we outline the driving factors behind this new movement and why big players are taking it up so quickly.